So I thought I would start off with a post about the recent show...after all this is an allotment blog and no matter how much it is killing me not telling you all about Trojan I can manage to wait another day or two!! 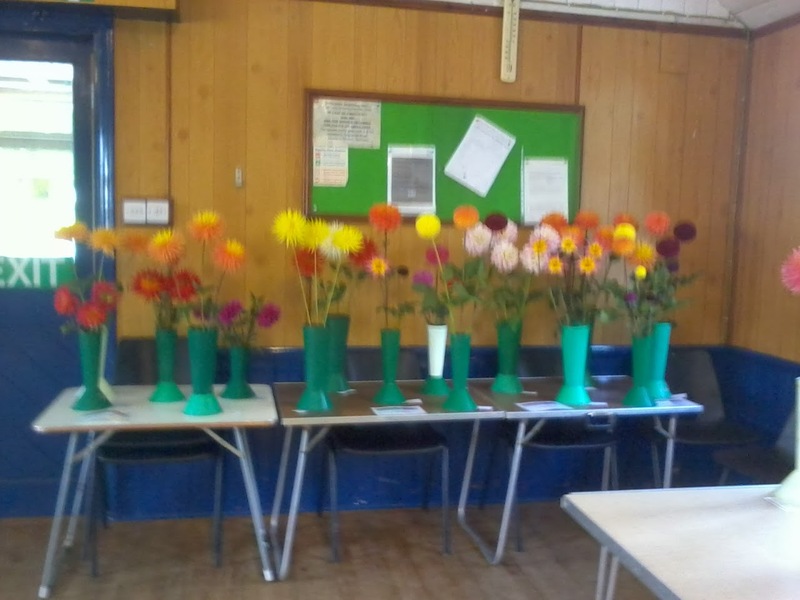 We publicised a lot more this year and it certainly showed in entries for the show and we had far more this year than in the last few years. Having said this not all categories were well entered so we will be looking at this and sorting put the different categories next year. 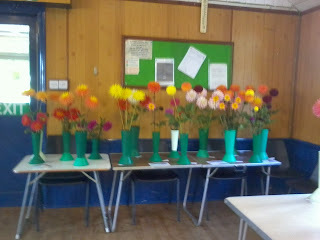 As you can see below...there were plenty of entries for which we were very grateful and most people were kind enough to donate their entries so that they could be auctioned off in the evening to help raise money to pay for the show and also help towards any improvements on the allotments in the future!! 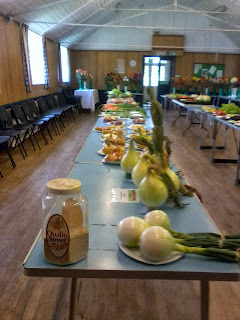 There were some enormous onions entered!! 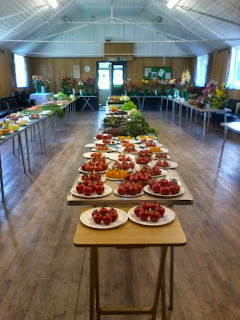 Tomatoes had many entries...not from me however...I was still waiting for mine to ripen...I did salivate a little as I looked at them and vowed to win some in the auction later!! 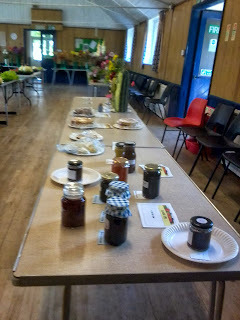 Jams, cakes and chutneys all had a fair amount of entries. I entered a strawberry jelly and a raspberry jelly as I found them in my cupboard which I had made last year and earlier this year. 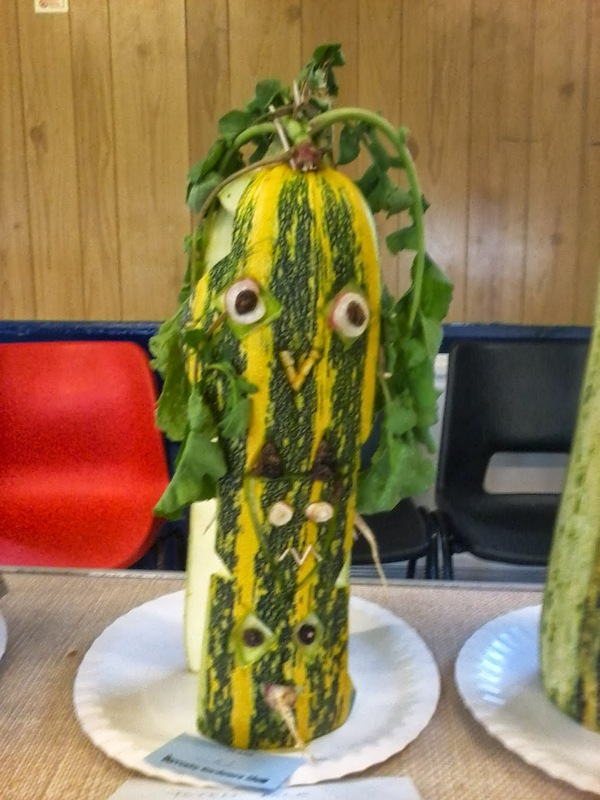 Below are the vegetable faces which were entered by some of the children...these were a great conversation starter throughout the day....they weren't auctioned off in the evening though!! The flower arrangements entered were beautiful and did very well in the evening auction. Potted plants were also in the categories and there were a few enters there too. 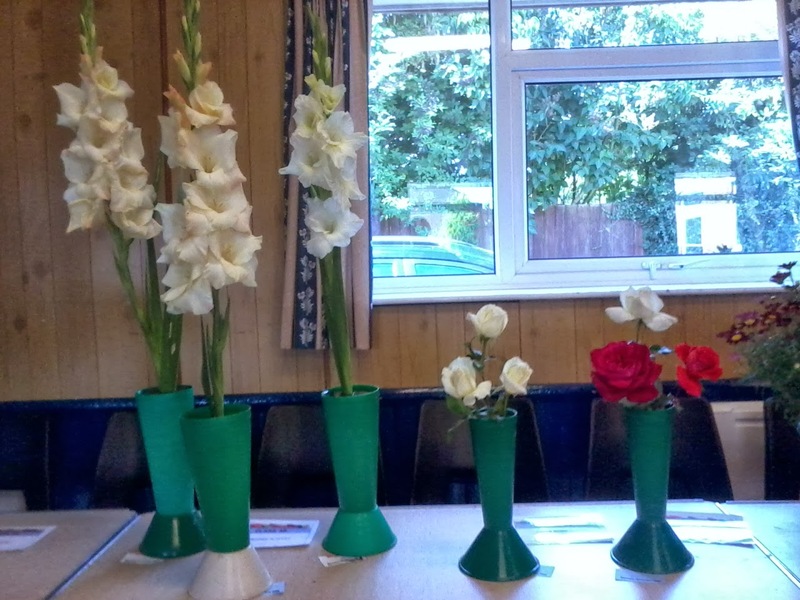 A lovely array of flowers were entered over several different classes and categories and they all looked wonderful. Personally I don't grow flowers on my allotment and I prefer them in the garden rather than cut in the house in vases but I could certainly appreciate the beauty of them and they always go well in the evening auction. So that's all my pics for the entries...it seemed like I took so many more at the time. 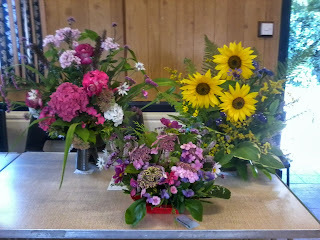 It was a long day as I was there to open up the hall and start setting up at *am and them I was there with the keys in the evening to check everything was switched off and then to lock up again at 10:15pm. A very long day...but nice. The auction wasn't as well attended as we would have liked, especially with having so many entries this year to auction off. Tea, coffee and refreshments were available as was a licensed bar and a few games at the beginning of the evening as well as a raffle. Everything was sold which was really good of the people who attended as I am sure by the end of the evening they were only buying to help us out and not really because they needed what they were bidding on. 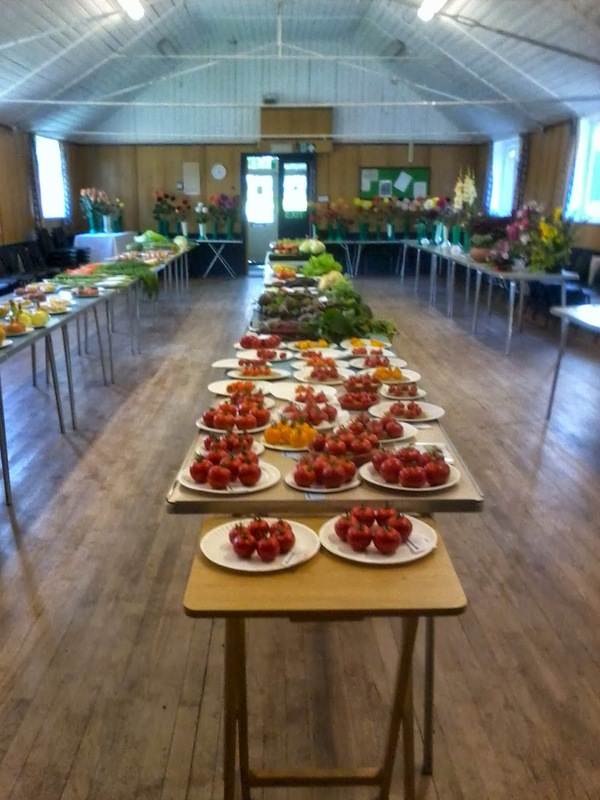 I wonder if the evening auction would have been better attended if we had advertised as an independent event as all this wonderful fruit and veg for the taking in one of the biggest villages in the country and yet so few villagers attended...I really don't get it?!?!?! 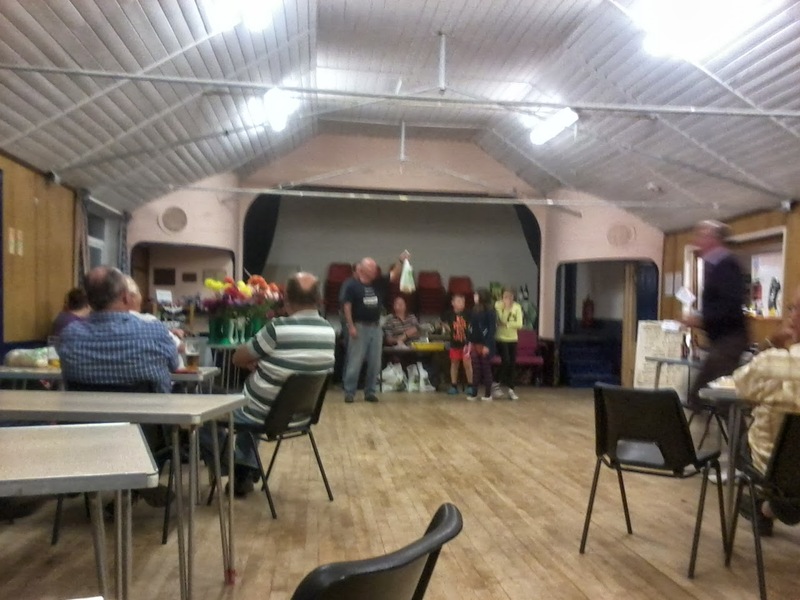 Having said that it was a good night, people got their certificates and prize money...everyone who did attend seemed to enjoy themselves and then half way through the evening trophies were awarded. Good times had by all!! I did enter a few categories and got first and second prize with my jam, second prize with my pears, first prize with my sweetcorn....and I think one more but I can't remember what it was. I was very proud of my sweetcorn, not only did it get me first prize but also got me a trophy for 'Best veg in show'. How cool is that??? I was very excited...oh and a tad embarrassed as I really didn't expect a trophy and had to go and collect it!! 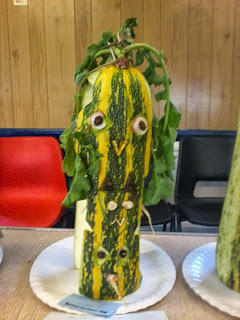 Well that's it for now...I will leave you with a photo of my prize winning sweetcorn. Prize and Trophy winning Sweetcorn. Hey Tany: a worthy prizewinner! Any celeriac at the show? Thanks Mal. 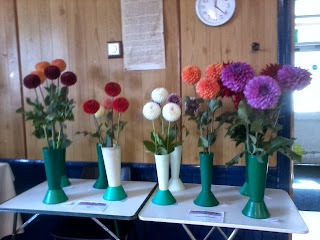 No celeriac in the show and none on my plot either this year...it just didn't amount to anything a seedlings :-(. How's yours this year?? Dear Tanya, Congratulations!! First prize is wonderful. I was so glad to hear from you and happy that you are well. 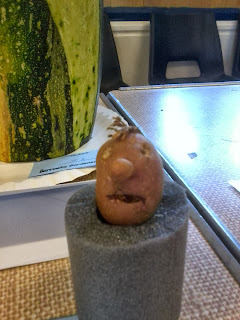 Thanks Catherine....I was very pleased with my trophy!! Thanks Ann. 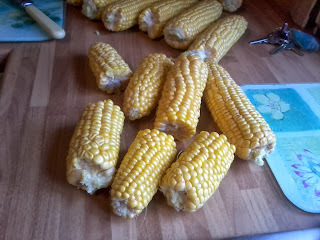 The sweetcorn tasted great too!! 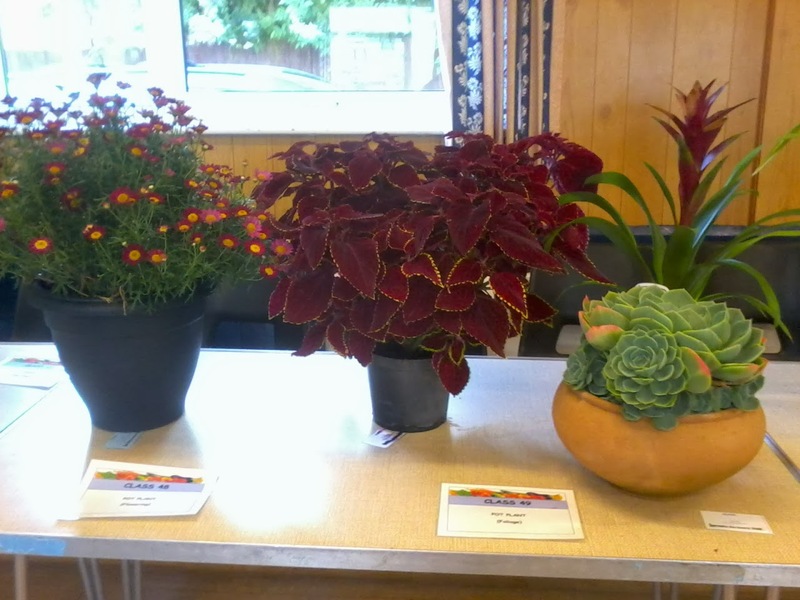 Well done for winning best in show! Thanks Sue...I was more than a little surprised as there were so many wonderful entries. It sounds like a good day, and well done on growing such magnificent sweetcorn. 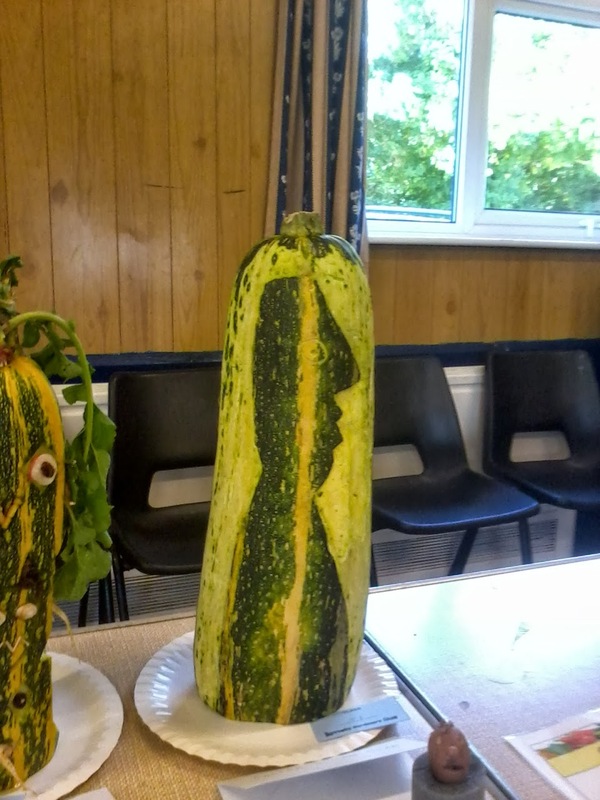 I'm still waiting to see if mine does any better this year than it's done in previous years on the plot. Our local show is always really well attended, which is good. 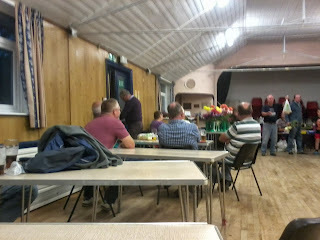 The presentation and auction is in the afternoon rather than evening. 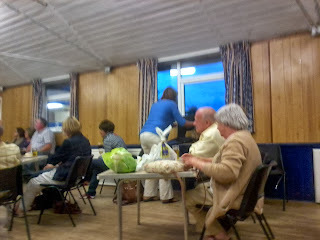 I wonder if you'd do better having it the same as it's a bit like a separate event having the auction in the evening. Just a thought. Thanks Jo, fingers crossed for your sweetcorn. That looks like fun. I wonder if they do something like that near me. 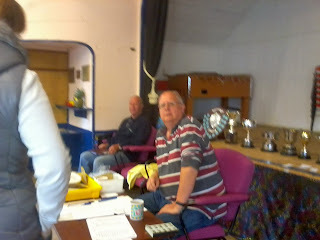 It was fun Ratty, everyone who entered and came to the auction was friendly and good natured making it a very pleasurable event!! Used this company Soccer plaques for the first time. web site easy to use.live chat very helpful.staff really .